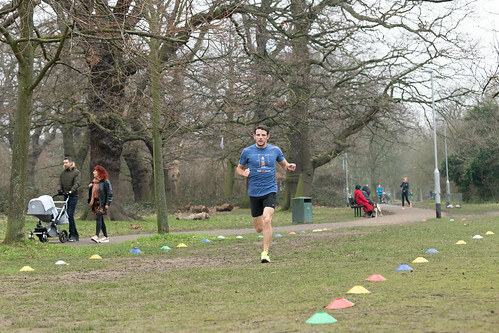 Nick Bester from Herne Hill Harriers took the highest number of first finishers for the men – an impressive 9 altogether – while Clapham Chaser Lucie Custance edged it for the ladies with a total of 6 in 2018, including the fastest ladies’ run of the year in 17:40 at event 115. 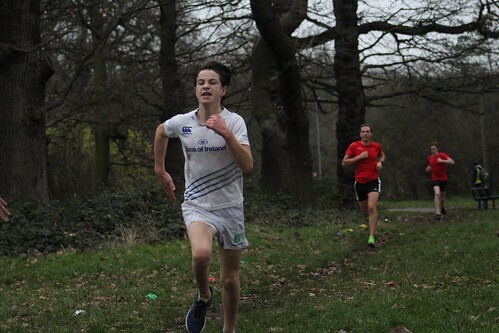 The fastest men’s time of the year however goes to Jack Hallas of Wakefield and District, when his only appearance at Tooting three weeks ago finished in a blistering 15:50! 2018 also saw a number of age category records tumble: notable among those are Mavis Orban taking the fastest time for the VW75-79 category in 33:43 (AG 71.92%) and Joseph Aspinall the fastest VM80-84 in 28:50 (AG 72.89%). The juniors have also put on an amazing show this year, as Johanna Nicholson ran the fastest time for the JW11-14 category in – wait for it – 19:54 (!) bagging an 83.58% age grading score in the process. And speaking of age-grading – if my maths is on the ball – Austin Soane achieved the highest score of 2018 with 86.25%. 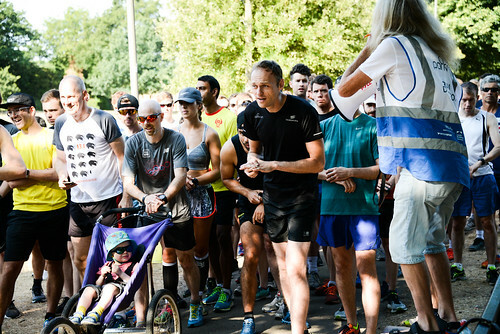 So once we’d reflected on all those amazing achievements, we had just one more thing to do – the final parkrun of the year! And looking at some of the stats, it seems as though perseverance was the key to many of our successes - a very appropriate sentiment for the New Year! 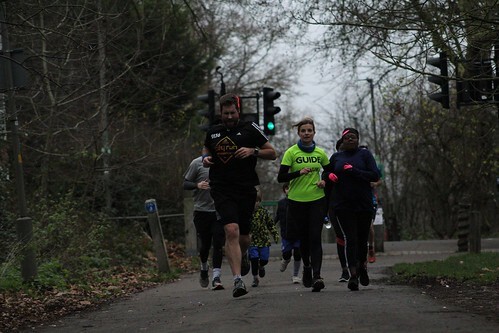 Event number 148 saw 319 finishers, of whom 17 were tackling Tooting for the first time and a further 6 brave souls were completing their first ever parkrun. 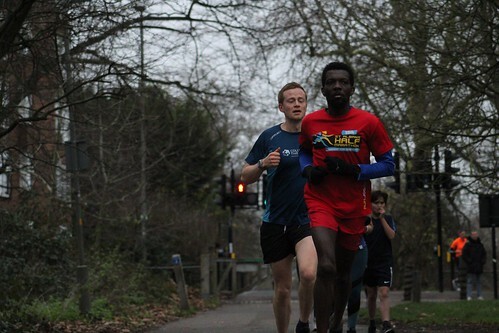 Watford Joggers’ Nana Agyei, who has never finished outside the top ten, turned his consistently fast performances into a first place finish today, finishing 1 second ahead of Aaron Wilson in 18:20. It would be a full minute before Liverpool University’s Ryan Willmott took the third place finish, 7 seconds clear of the rest of the pack. Nana’s efforts also earned him the top AG score for the day with 75.07% - what a brilliant effort for the end of the year. Meanwhile Kathryn Evans was the first lady home for what looks like her first time at Tooting, in a time of 22:30 – after 66 runs here what a fantastic payoff for the Roadhogg from Leicester! 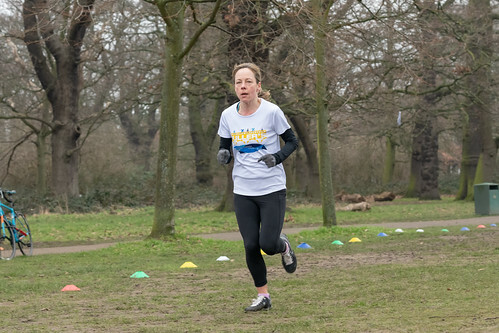 Linda Wain came in second in 23:04 and Gateshead Harriers’ Caroline Hudson took third place just 17 seconds later on her first time at Tooting. And representing the JM11-14 category another visitor, Alfie Reynolds, took the fastest time for the under-20s with an incredible time of 19:53 and eighth place overall – a result that also nabbed him the second highest age graded score of the day. The juniors led the charge for personal bests today, with Ruby Abbasian, Marla Babiker and Matilda Cockburn from the JW10 category and Jacob Dilley from JM11-14 all recording their fastest times at Tooting. Also among Team PB was Trioundabout regular and visually impaired runner Velma Williams, who took a whole minute off her previous best time – go Velma! And finally, a special shout out goes to April Marretta Lord, who coolly clocked a PB of 27:39 and still had time to turn in a volunteering stint. Not all heroes wear capes, people. 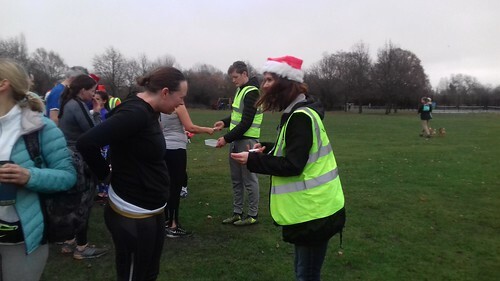 First lady and multitasker supreme Kathryn Evans also took the accolade of most parkruns today on her 227th outing overall – getting pretty close to that 250 shirt – while picking up a volunteering credit as well! 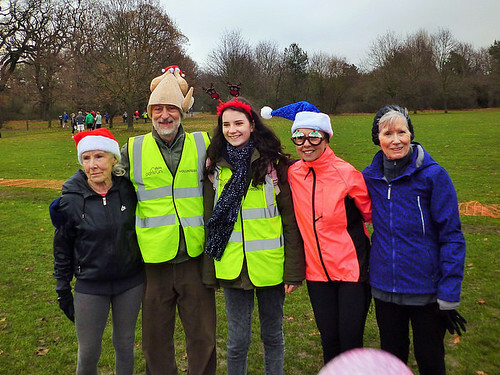 David Brown meanwhile celebrated his 50th parkrun today, while Abigail Hermon is just one away from a 100 – a target she’ll hit on New Year’s Day. 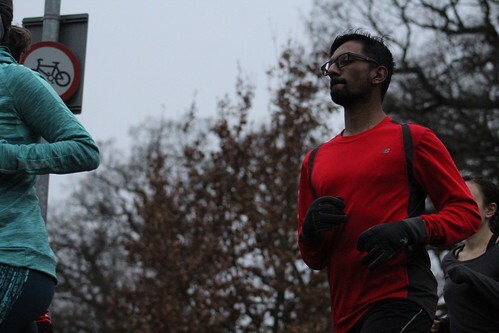 For those of you that are struggling to run that elusive fastest time, it’s worth remembering that it’s not all about speed – the important thing is getting out there week after week, rain or shine. 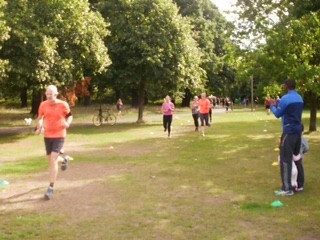 There were runners from 25 different clubs, with the highest representation coming from Clapham Chasers. 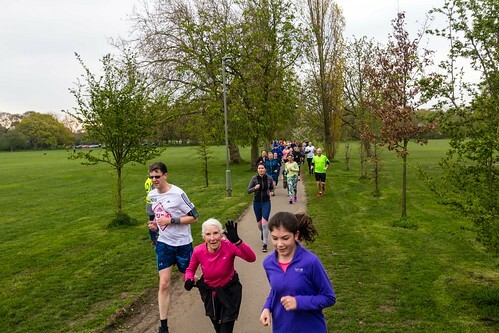 Even with a relatively small field (30% fewer runners than the weekly average) the first and last finishers were still separated by 30 minutes and 12 seconds, which goes to show the range of parkrunners that come to Tooting every week! 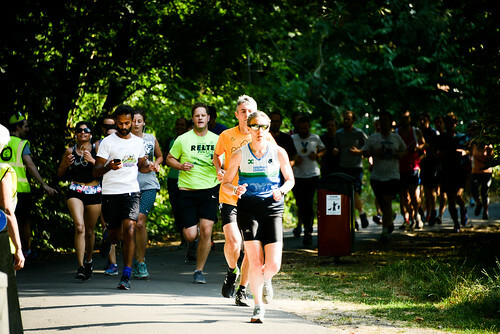 181 parkrunners (or 56.7% of the total) snuck inside the average finish time of 27:09, while Anna Hunscott came in exactly halfway through the field, clocking 26:30 in the median position (160th). The average time for the day however was 33:25, which would have landed you in 285th place. Of course, you know the most important stat of all – the volunteers. 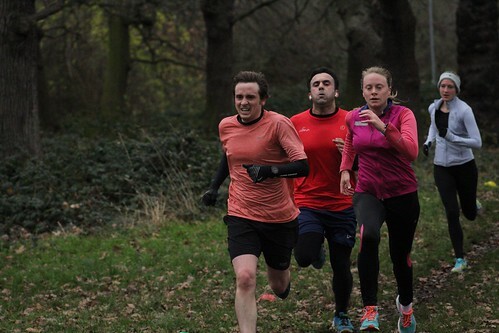 31 people gave their time up today – as you can see some of them were able to run as well! 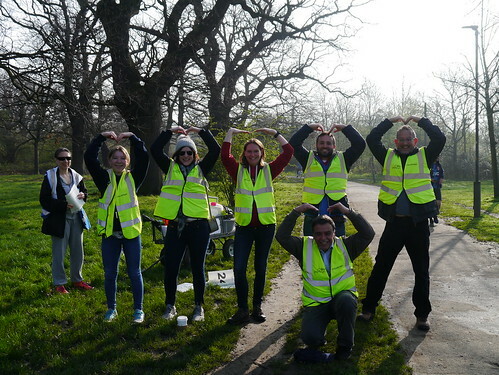 – and as parkrun simply doesn’t happen without them I’d like to give a MASSIVE shoutout to our parkrun angels. 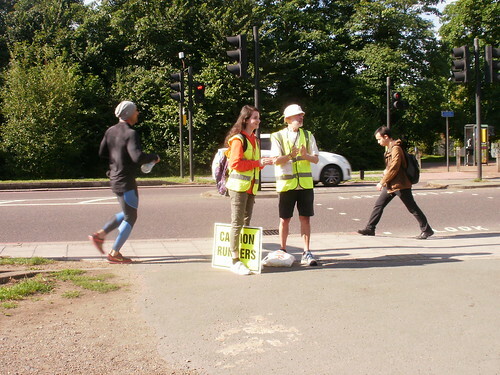 We wouldn’t be 148 events in if not for the support we get every week, so if you’d like to get involved please contact tootingcommonhelpers@parkrun.com or speak to one of the marshals at the next event. 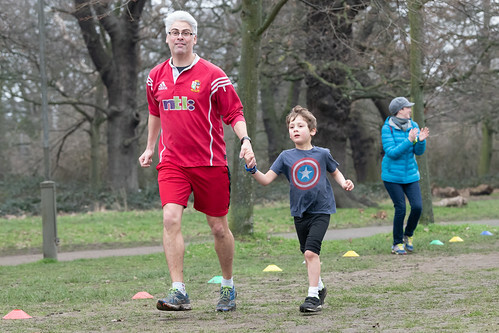 Happy parkrunning everyone and Happy New Year! Ah, that’s more like it. No more getting sunburn on the way to the shops for a pint of milk, no more sweating just by sitting still, and we can all legitimately complain about the weather again. The heatwave has been thoroughly lovely, in a lot of ways, but it’s good to see some more runner-friendly temperatures at the Tooting triangle! Of our 502 finishers on Saturday, a fifth of those recorded their best time around the Trioundabout, including our junior stars of the week Bella Howard and Amelia Thomas. In fact Bella’s 23:25 for the under-10s was also in the top-10 age grading scores – definitely earned a post-run cake Bella! Meanwhile Emma Wadham continued her improvement by beating the time she set last month by 45 seconds to get 47:09, and Holly West, running with us for the first time since April, beat her previous Tooting PB by 15 seconds to get 24:09. Welcome back, Holly! Among the personal bests were also first and third finishers Danny Russell of Highgate Harriers and Joshua Pewter of Herne Hill, with times of 16:05 and 16:53 respectively, and from what I saw Danny had a real fight on his hands from the unknown second place finisher – they were hip to hip on the third leg of the triangle with less than a minute to go. Blink and you’d miss it! Meanwhile Overton Harriers’ Hannah Bliss brought it home for the ladies in 19:36 and 30th place overall, comfortably ahead of Pewter’s clubmate Lara Langston in 20:10 and Clapham Pioneer Ruth Dervan 15 seconds behind her. 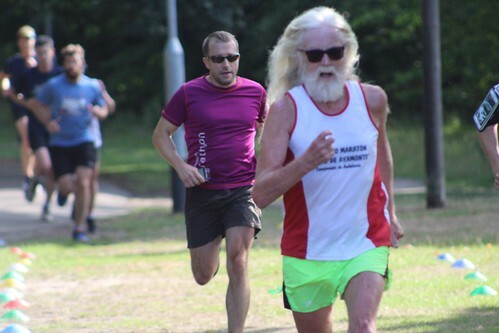 Herne Hill Harriers put on a great show with 5 of their 12 runners finishing in the top 50, including Langston and Pewter, while Clapham Chasers brought 17 people to the parkrun party for the highest club attendance. 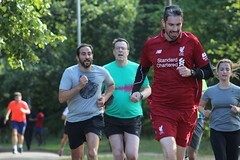 Congratulations – for a different reason – go to Manchester United fan Ben Southall who kicked off his stag do with his 42nd parkrun, aptly dressed head to toe in the bright red Liverpool FC strip! Let’s hope the day didn’t end red-faced as well! And in an impressive display of multitasking, Tom Baker, Howard Coan and Paul Dodounou made it a volunteer and PB double, delivering the marshal briefing and sorting tokens whilst recording 25:21, 30:07 and 20:58 respectively. 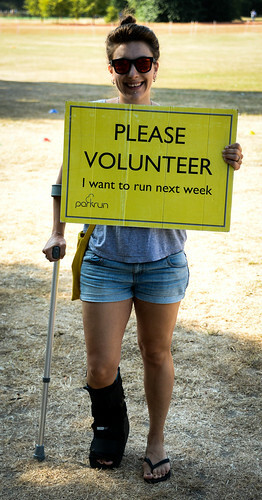 It just goes to show volunteering doesn’t necessarily mean missing out on a run! 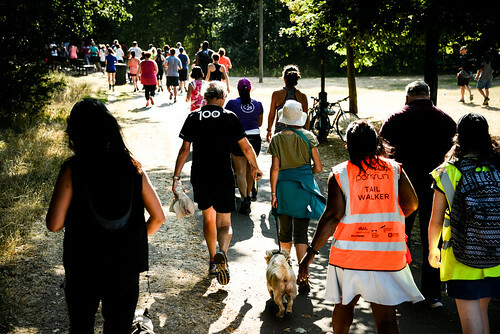 Of the recorded finishers a whopping 103 people were tackling Tooting for the first time, with 46 of those completing their first ever parkrun – welcome all you intrepid explorers. A special welcome goes to the Howarth family; Freddie and Bertie for the under-10s and Emma in the V49 category all finished together in under 34 minutes, and what a great way to combine family time with exercise and fresh air! Well done to all our junior runners; we had 13 in total, with Amelia Thomas and Thomas Valverde Kosinski close to picking up their 10 runs t-shirts. In the senior categories, Jack Leafe completed run number 99 and I’m sure will be hoping to get his black 100 shirt next week. 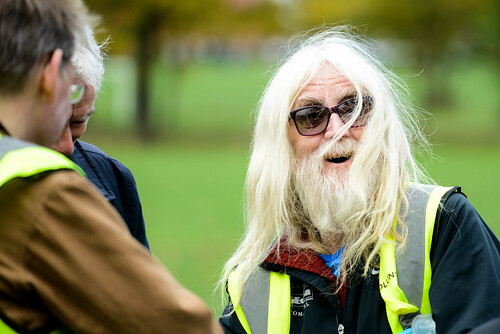 Approaching an even more impressive milestone today was Norman Urquia, marking his 297th parkrun by running his best ever time – can’t wait to see what you do for run number 300! Finally, the geeky bit. 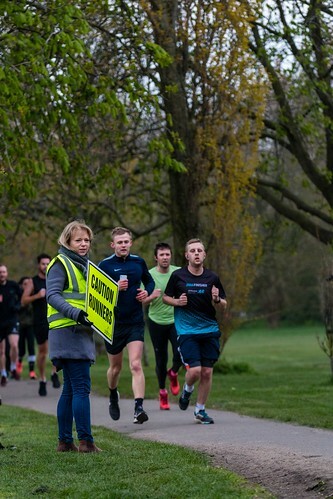 Currently the Tooting Common average run time is calculated at 27:07; interestingly, Saturday’s average finishing time (excluding tail walker) was 31:37, clocked in by Jenny Barnard, but the median position (i.e. halfway through the pack) was much closer to the average time with Marie Tracey Fall’s 26:04 in position number 251. In fact a time of 27:07 would have put you neck and neck with Sam Dalton and Marian Kelly in positions 300 and 301 respectively. Our fastest time of 16:05, while impressive, was slightly over a minute and about 8% slower than Paul Martelletti’s course record of 14:57 set in February 2017. Setting aside the 73 unknown runners, there were 197 women compared with 232 men in the results, making a 46%/54% split. 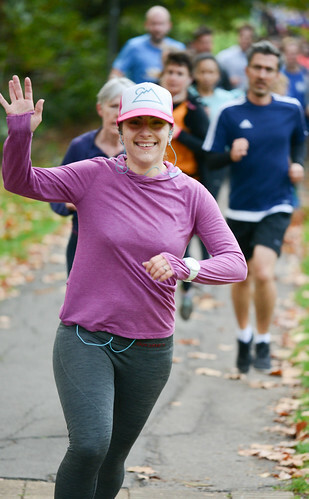 It was my first run at Tooting for a while, as I’m recovering from both a broken foot and now a vicious bout of flu, so on a personal note I wanted to say how lovely it is to be back running with such a wonderfully supportive and friendly group of people. 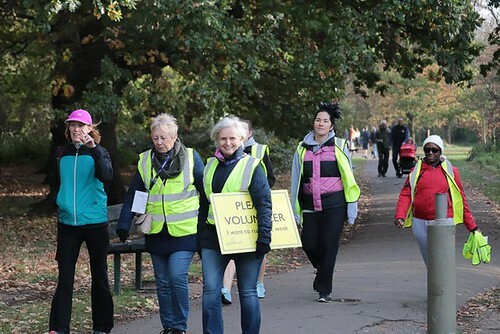 Whether or not you’re part of a club you’re always part of the parkrun family, especially those who also give up their Saturdays to volunteer, and it’s a family I’m very proud to be part of. 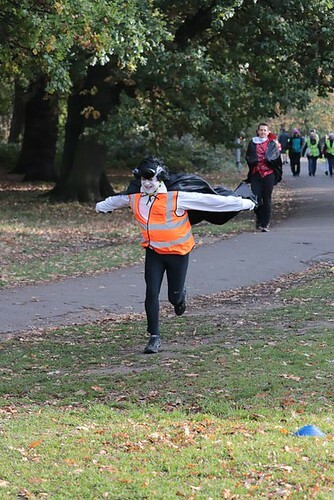 A massive thank you to the 33 people who helped make Saturday’s run happen; if you’d like to take part too please contact tootingcommonhelpers@parkrun.com or ask one of us next Saturday. The weather this Saturday could only be described, in the immortal words of Caroline Aherne, as “scorchio”. 10 degrees hotter than this time last year it was great for sunseekers, less so for PB seekers! 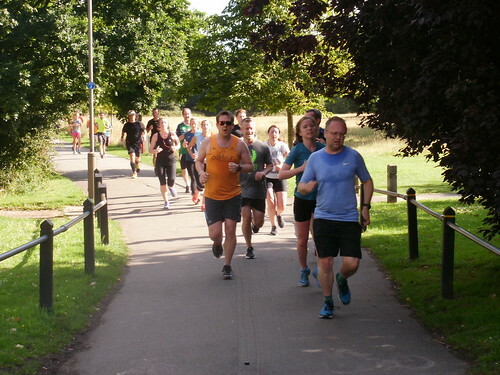 On July 15th 2017 at parkrun number 77, there were 123 PBs among the 516 finishers (or 24%); today we saw 59 PBs registered from 483 finishers, just over 12% of the field. 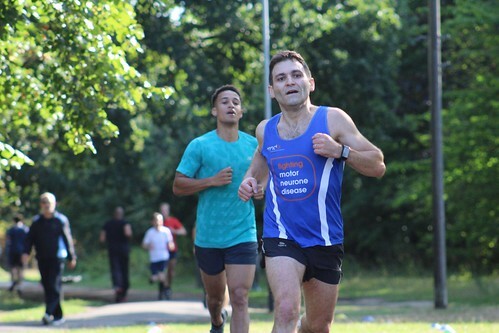 That said, it didn’t stop two of Herne Hill Harriers’ finest recording their fastest time on the course – Nick Bester had the edge with a 16:36 finish for first man, and Matthew Robertson came in 40 seconds behind. Nick actually ran the event a year ago and today his result improved by three places and almost a whole minute – great work Nick! Special mention also goes to the fourth place finisher Richard McDowell from Hercules Wimbledon who clocked in at 17 minutes and 42 seconds… while pushing a buggy. A Herculean effort indeed, especially the sprint finish. 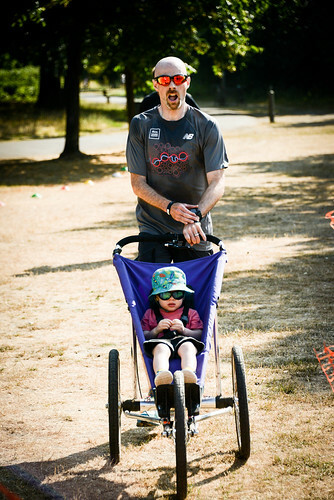 I couldn’t find out if this was officially our fastest buggy run at Tooting but it’s got to be up there! Meanwhile there was an equally strong show from the ladies, with Hannah Lord finishing first in 19:49, chased home by Shannon Sinclair in 20:04 and Clapham Chasers’ Bridie MacDonald in 21:03, who also bagged herself a PB. 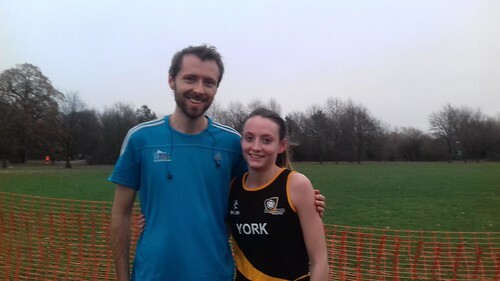 A great effort also from Natalie Warren in the 11-14 category who was not only the fastest of the under-15s with her PB time of 22:54, but also 8th lady! Despite the weather we saw a great breadth of results across all age categories, but especially in the juniors where 43% recorded a personal best, compared with 16% of seniors (20-34) and 12% of veterans (35 and above). Next up – permit me to go a bit stat crazy here, or just jump to the next paragraph! – my favourite roundup: the averages… Ben Parker finishing 242nd was our median position finisher (i.e. 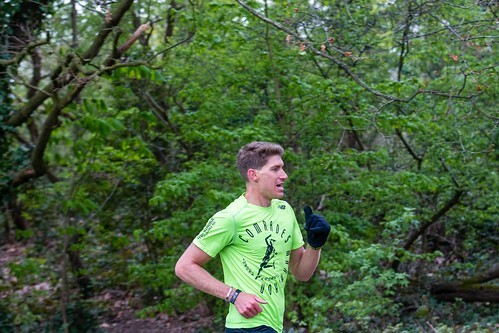 halfway through the field) in 27:10. The closest median time on the other hand was 36:47, beating 7% of the field, compared with this time last year where the median time of 32:48 was faster than 12%. Meanwhile the range of times today between first and last finisher was 16% larger than last year. What all this suggests is that the results are more bunched up than they used to be, and slightly more competitive, but we also saw a wider range of times today than we saw a year ago. Of course that could all be down to the heat and the fact the World Cup is on! While we’re talking about impressive numbers, our most experienced parkrunner today was Gary Slater, completing run number 402. Also representing the 250 club were Norman Urquia, David R Mason and Sarah Vaughan. Mike Hayden picked up his 100 shirt and Kevin Pickering is one run away from joining him – maybe next week? 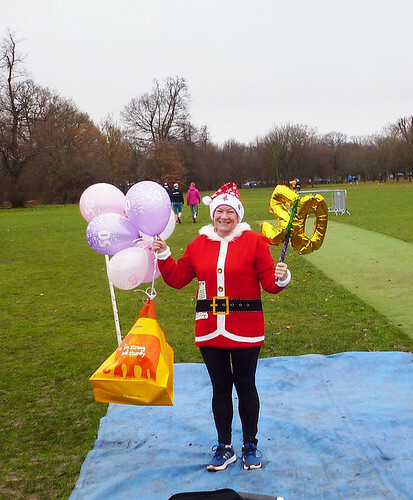 A special mention goes to our very own Cal Jones who marked her 50th parkrun with a fastest time around the Trioundabout, and who will be Run Director for next week’s takeover by the Clapham Chasers. 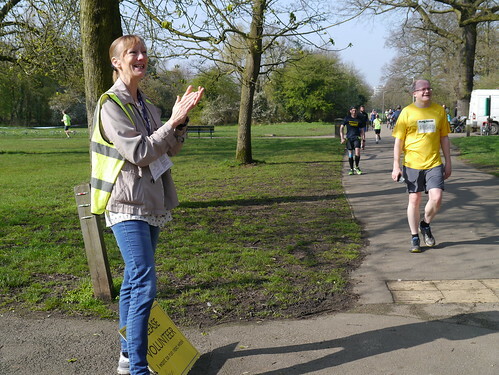 She and 15 other parkrunners finished today having already banked 25 or more volunteering credits –if you’d like to work up to a snazzy purple shirt please contact tootingcommonhelpers@parkrun.com. A massive thank you also goes to the 36 who volunteered today, without whom nobody’s getting any shirts! 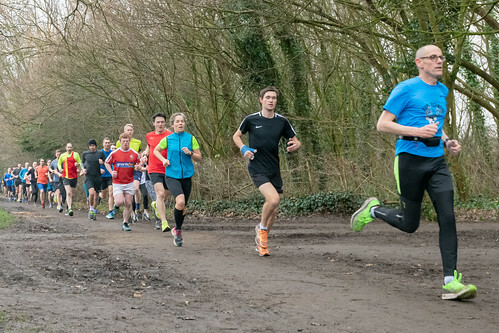 To the 65 plucky runners who joined us for the first time – welcome to tropical Tooting! I promise it’s not always this brutal but at least we have the Lido to cool off in afterwards! 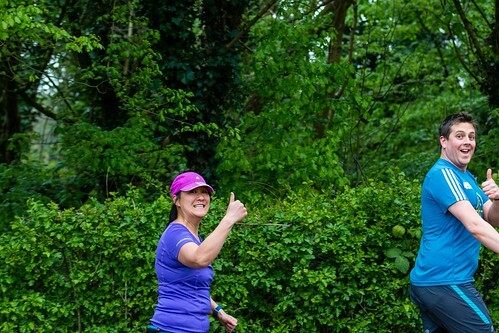 And to the 71 runners who were too shy to make themselves known – or perhaps forgot their tag – I really do encourage you to bring your barcode and get your result. 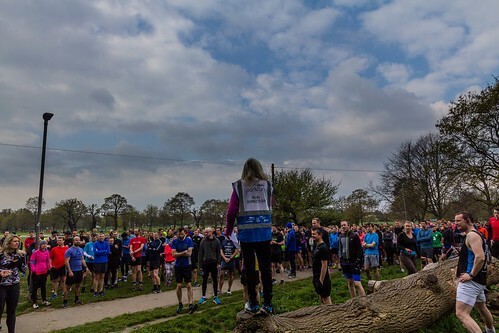 Even looking back a year from today it’s fascinating to see the leaps and bounds Tooting’s parkrunners have made and I’m so proud to see our little event grow and grow. I can’t run at the moment due to a broken foot (I’m dying of jealousy) but seeing everyone out there today reminded me what a strong community of parkrunners we have. Well done to everyone to made it, to all those fabulous smiles I saw on the way round, and hope you’re having a lovely summer. Guys, what’s that bright light? Is it… can it be… sunshine? 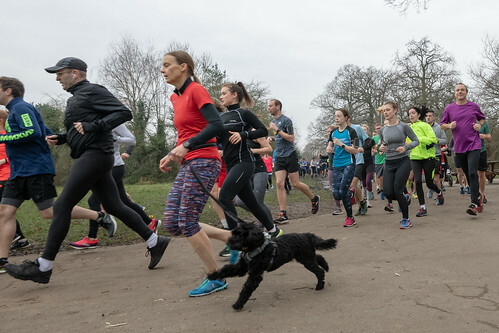 Britain’s longest winter since the Ice Age – or at the very least Ice Age 2 – was finally punctuated by the first rays of spring a good two months INTO spring, making marathon prep that much more challenging than it usually is. Good luck to all of you racing in April and May who will have to risk running either in long johns because that’s all you could train in, or in an optimistic pair of short shorts still in their wrapping. 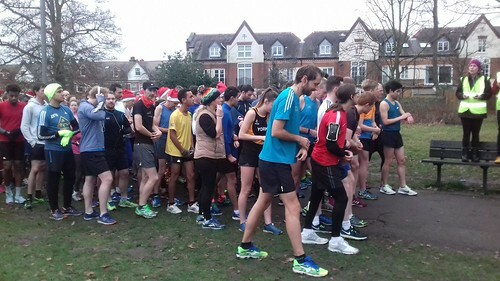 The inclement weather hasn’t deterred the hardy parkrunners of South West London however, and joining the roundabout regulars today were 51 fearless first timers! Making up nearly a tenth of the field, it was fantastic to see so many newcomers testing themselves against one of the most easily underestimated courses inside the M25. 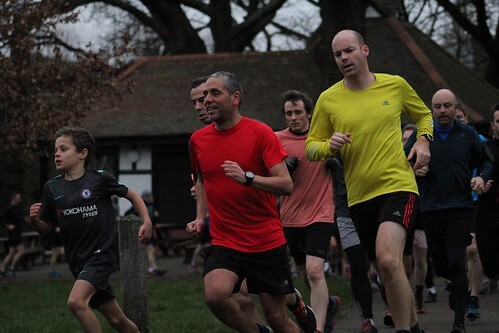 Another 16 runners were visiting Tooting for the first time, including junior parkrunner Herbie Clark, and we hope to see them all again soon. 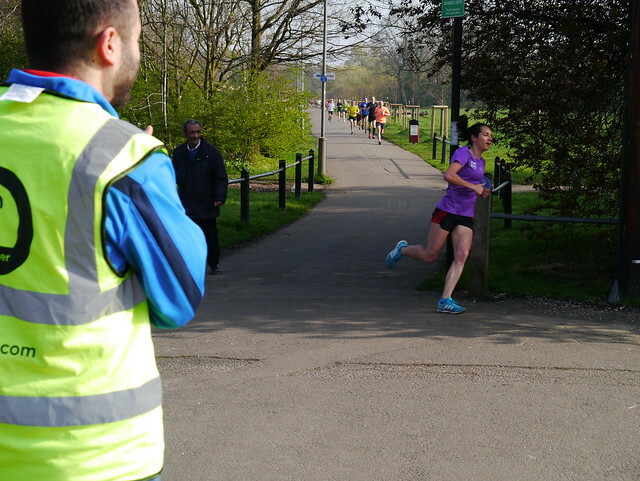 Of the 566 finishers 107 recorded a new personal best, including second lady Hannah Lord with a time of 19:03. Clapham Chasers’ Lucie Custance was an agonising 2 seconds away from her own PB of 17:44, but she will no doubt take comfort from the fact that as well as first lady she was also second overall – what an absolutely stunning performance from a consistently brilliant runner! She came in 27 seconds behind Team Dillon’s Timothy Wood who led the field in 17 minutes and 19 seconds after the gun, and 10 seconds ahead of fellow Chaser Rob Sherwood. Izzie and Thea Warren and Sid Steedman from the under 10s categories all recorded PBs today as well – fantastic work everyone! 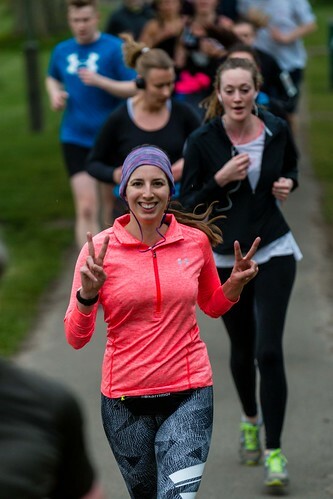 – and Izzie actually recorded her third PB in a row, which is incredible progress for someone on only her eighth parkrun. 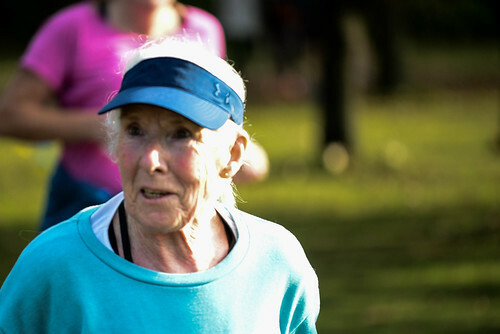 Testament to the inclusiveness of the event, the field included 20 parkrunners under eighteen, and 11 more over sixty. Among the victorious PB chasers were Victoria Spooner who snuck under 24 minutes for the first time, and Victoria Whittaker who whittled a whopping 44 seconds off her previous best from three weeks ago! 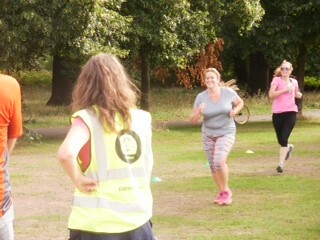 Emma Rogers recorded the only official milestone today, earning a red-shirt for her 50th parkrun! We’ll keep an eye out in future weeks for Christian Fielder, currently on 49 runs, and Joanna Ward who is two away from 100. Meanwhile Tunde Adeyemo of Sutton Runners takes the gong for most parkruns (today was number 322) as well as being one of only 7 runners who also have volunteered 25 times or more! 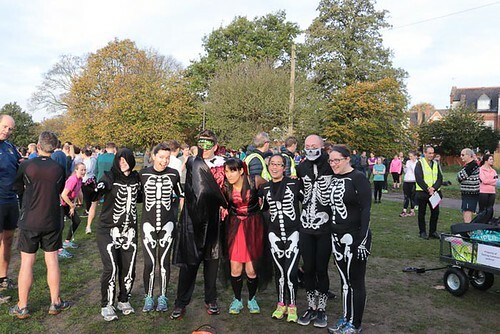 The fog settled in, spirits were high, everyone was exorcising – time for the Halloween edition of Tooting Common spookrun! 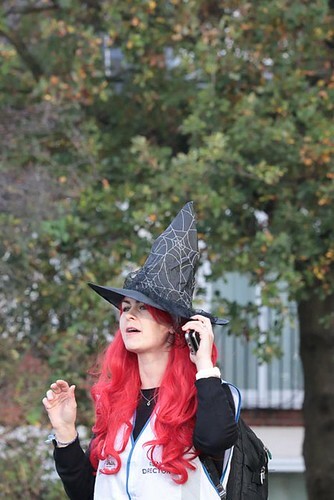 There were some excellent fancy dress efforts on show today, not least from our new co-Event Director Mark Shotton who haunted everyone as tail walker in his Dracula cape and makeup. 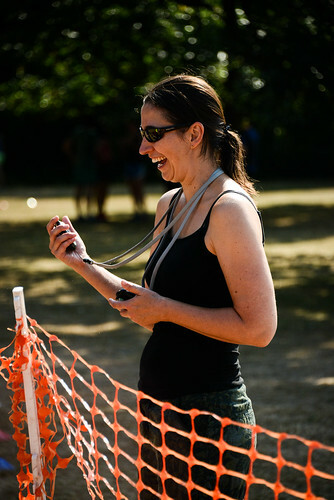 A massive thanks goes to outgoing EDs “Queen Witch” Gemma Brierley-Rutter and Simon Lewis, who have been instrumental in making Tooting one of the biggest parkruns in London on one of the smallest sites and ensuring what should be a logistical nightmare runs like a dream every Saturday morning. 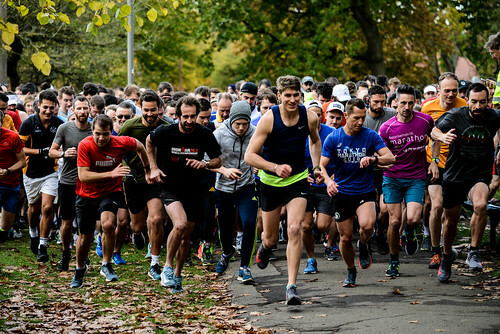 Mark and his co-ED Liam O’Hare will be taking over as of next week and will no doubt carry on the tradition of Tooting parkrun legends. 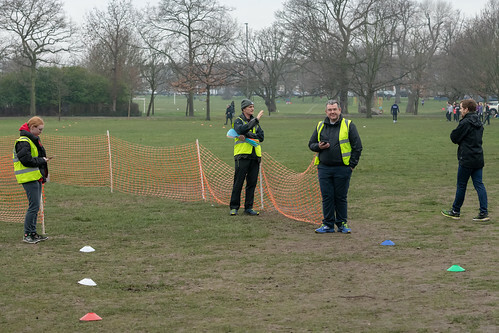 Of the 516 finishers today 52 hardy souls were running their first ever parkrun, obviously hoping to outrun the skeletons (it’s harder than it sounds) and 88 more were tackling the terrifying Tooting Trioundabout for the first time. The front of the pack was led home by… well, I’m not sure actually – two finishers simply marked as “unknown”. Maybe we’ve got ghosts on the course? We’ll have to check with Martin Rutter who chased them home to finish third in a time of 16:44, picking up a huge personal best in the process and nabbing the highest age graded score for the day as well. Meanwhile Sarah Grover of Dacorum and Tring AC brought the ladies home in the fang-tastic time of 19:24, one which earned her the third highest age graded score, in position 31 overall. Not far behind her were Alexandra McClelland of Warwick University and Rosie Clarke, with just three places and 18 seconds between them. There was also a spook-tacular contest on among the under-10s category, as Theodore Arvanitakis, Mason Squires and Lucy Hufton all finished under 28 minutes within seconds of each other; 27:10, 27 24 and 27:29 respectively, all of them PBs! As well as fastest mortal (sort of) and highest age graded score, Martin Rutter also took the gong for most total runs today, finishing run number 259, while Ben Davies, Tamara Davies, Sophia Hamilton and Catriona Shearer all picked up their red 50 shirt – congratulations! Hopefully we’ll see Sebastian Ceglowski join the 100 club soon as he’s only three runs away from the black shirt milestone. Sophia joined Martin, Theodore, Mason, Lucy and 126 other runners recording a personal best today, which makes a quarter of the field making the most of the Halloween spirit. The fastest and slowest recorded times today were 16:44 and 48:55 respectively, which means that our median time was Nicola Bradley in 32:49 and 462nd position; the median position (or the halfway point in the finishers’ field) on the other hand was Aled Evans, finishing 258th in 26:06. 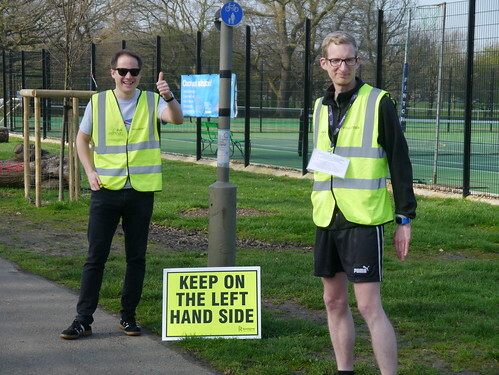 And last but not least, a huge hand (still attached to a body, hopefully) goes to our 34 un-boo-lievable volunteers who keep parkrunners parkrunning – if you’d like to join us, please e-mail tootingcommonhelpers@parkrun.com. 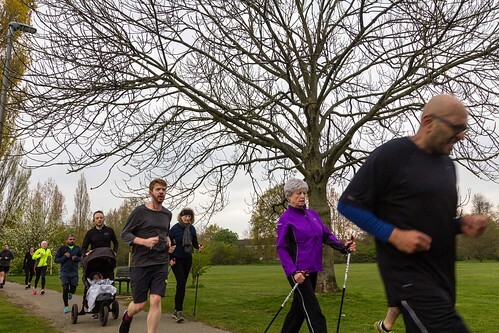 We’ve had a bit of a mixed bag of weather recently, so it must have been with some relief that Tooting’s parkrunners woke up to find sunshine and clear skies this morning. Not quite perfect temperature for the sub-16 minute finishes we’ve seen recently, but nonetheless great conditions to go out for a run in the park! 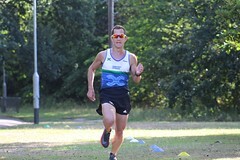 At least, they were good enough conditions for Nick Bester of Boksburg AC to nab a first place finish for the third time, chased all the way to the line by Alex Mills who finished only two seconds behind him in 17:25. 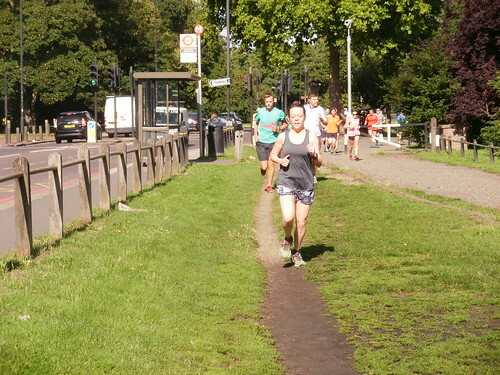 Clapham Chasers’ Lucie Custance went one better, taking first lady for the eighth time (!) and finishing in a blistering 18:06 to boot, a time that placed her sixth overall. She had company in the form of fellow Chaser Rosy Harvey finishing ten places and thirty-two seconds behind her, and with Megan Taylor taking third in 20:17 it sounds like the ladies had a storming day. 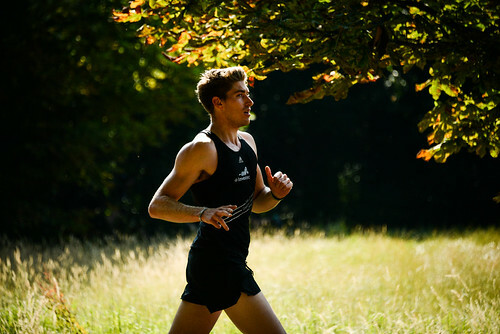 Among the 72 runners recording personal bests for Tooting were Lucie and Alex Mills and third placed Simon Messenger of Herne Hill Harriers, as well as Charles Calzia, Brandan Morrell and David Moyse from the junior categories – congratulations to everyone who raised the bar for themselves this week. Special mention also goes to Brandan for his incredible time of 19:30 which earned him the third highest age-grading score as well! This bit is for the stat geeks… 35 runners made it in under 20 minutes, which represents only 7% of the field. There was a huge spread of time between our first finisher in 17:23 and our last in 56:07, giving us a mean time of 36:45 (between positions 462 and 463), and our median finisher was first timer Alexandra Overton in position 238, with a time of 26:06. 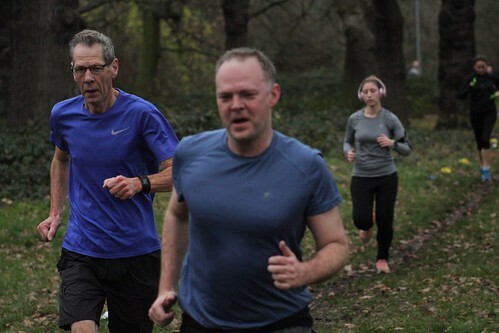 64 runners, or 13% of the field, were doing their first ever parkrun; Andrew Mason completed parkrun number 470! 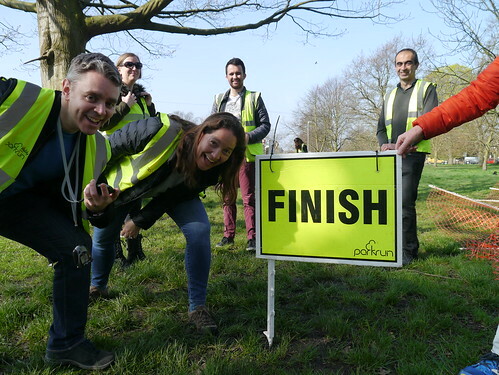 And as usual, a massive thanks goes to our volunteer team without whom parkrun simply doesn’t happen. 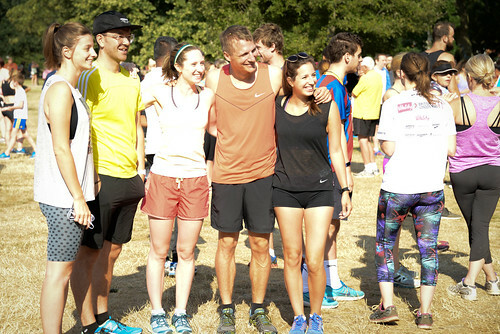 If you’d like to give your legs a rest one week but don’t want to miss out on all the fun, come and join the team by emailing tootingcommonhelpers@parkrun.com. It’s a laugh, it’s a great way to support the community and you can shout at people without getting in trouble.